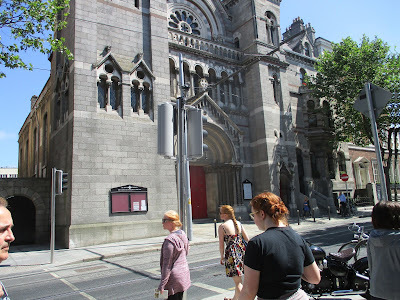 Our last days in Ireland slipped by quickly. 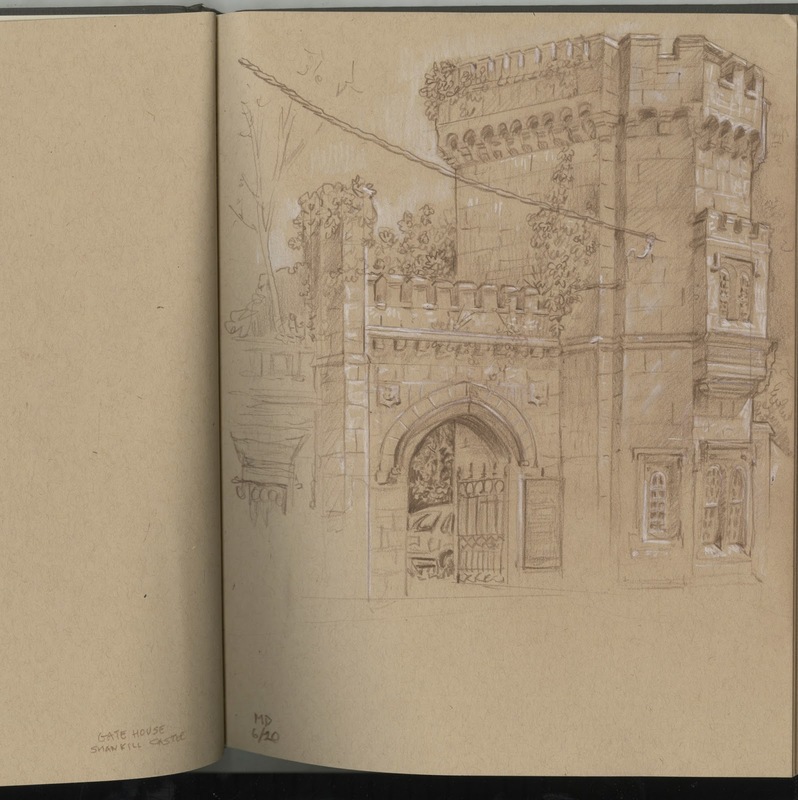 Early one morning Mike and I trekked over to Dublin Castle and drew at an outdoor cafe. Chloe woke up and found us so we wandered through the castle grounds. 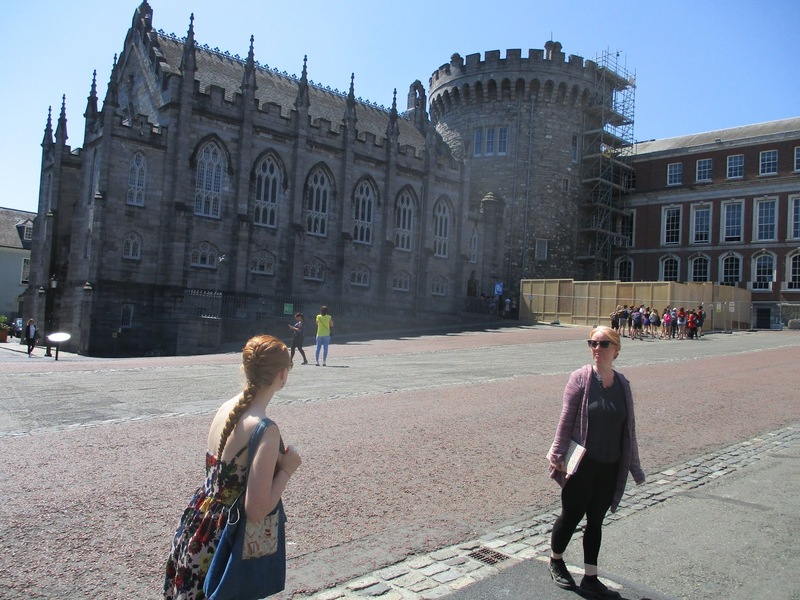 After seeing so many different castles in Ireland, I have to say the Dublin one was a little standard. 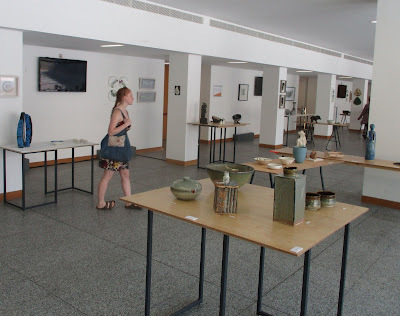 Next door to the castle the local ceramic society was having an exhibit. It was quite nice to see some local art on display. Here we are finally finding the museum after getting a bit turned around. This is a statue on the corner by our apartment. I still don't know anything about it because it's a "talking statue" which means you download an app to your phone and wave it at the symbol to get it to "talk" about itself. We didn't have a working phone, so .... No idea, but lovely to look at. On our last morning we hauled our many suitcases down from the 4th floor walkup and caught a cab to the airport. The one I'd booked never showed, but a van sized taxi with impeccable timing brought us there without a hitch. Before we knew it we boarded our flight to Boston. In Boston we had a 5 hour layover. Not enough time to leave the airport but plenty of time to get incredibly bored and tired as the time change caught up with us. 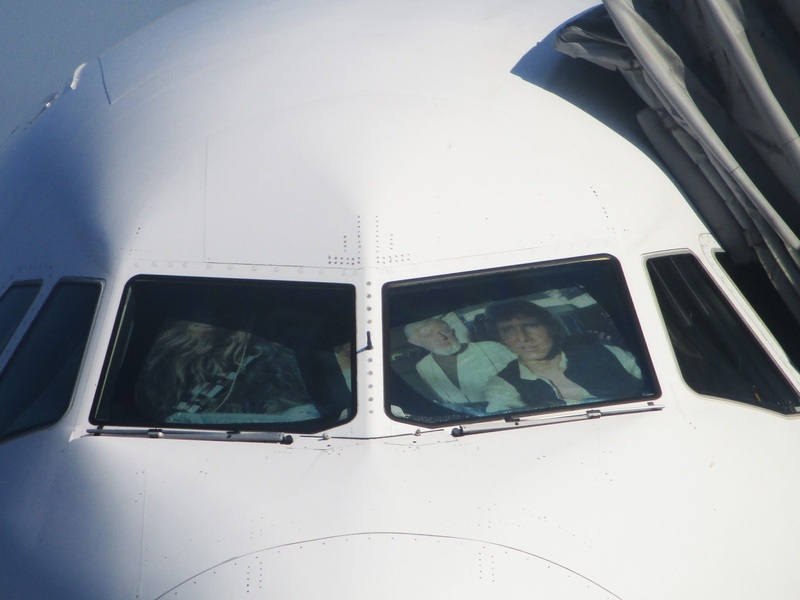 This is Han Solo and friends in the cockpit of a plane in Boston. 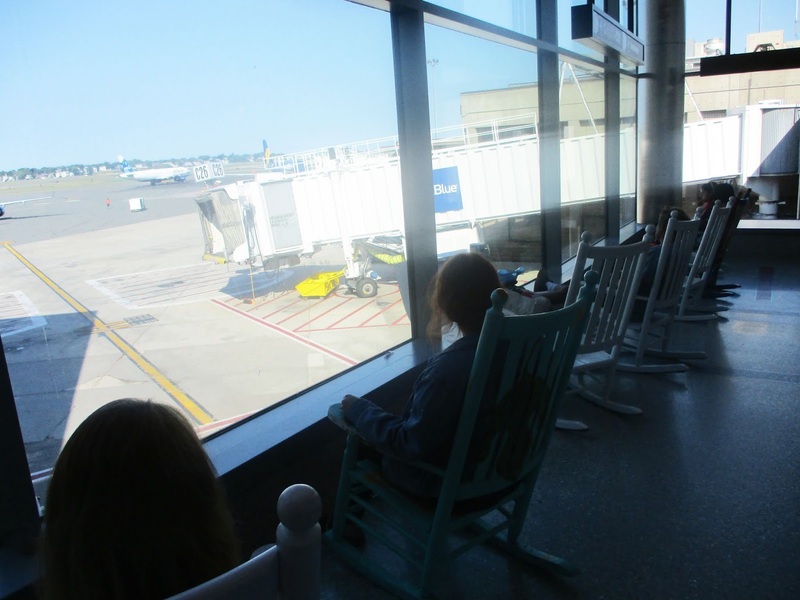 Phoebe relaxing in a rocking chair display at Boston Logan Airport. 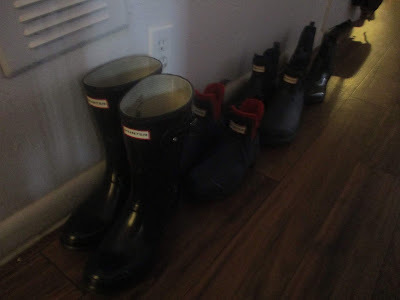 And these are all the rain boots I unpacked never used in Ireland, thanks to their unprecedented heat wave. Of course we arrived in Phoenix 20 minutes after a massive downpour. The moral is never try to chase the weather. Ireland was full of surprises for me, there were things I loved, like the bookstores in every little town and everywhere in Dublin. A people who embrace reading are a people I can relate to. 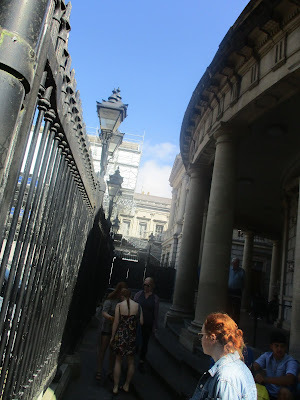 The ease of traveling in a foreign country using English was also remarkable, but perversely I missed the challenge of overcoming a language barrier. The lack of air conditioning was not really a bother because even though the temperature was mid eighties (ºF) it was still cooler for us and I wouldn't expect a/c. 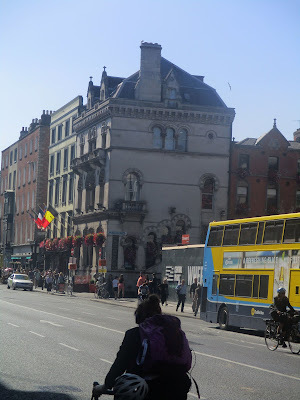 The one thing that surprised me the most was that Ireland had the worst wifi of any country I've ever visited. 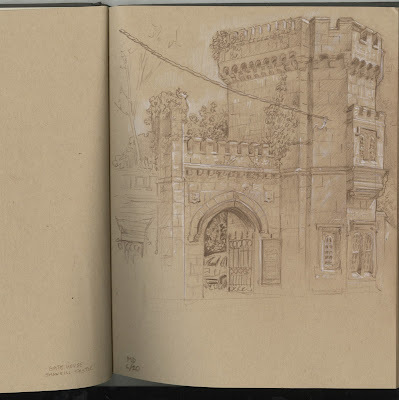 I know you're thinking....You were in a cottage at a castle in the countryside! Except we were also in an apartment in Stillorgan, an apartment in Dublin and inside Dublin airport.... All I can say is that it was a bit faster than dial up in year 2000. I really did love our visit there and all the people (and animals) we spent time with. Ireland will always be a special place for us. 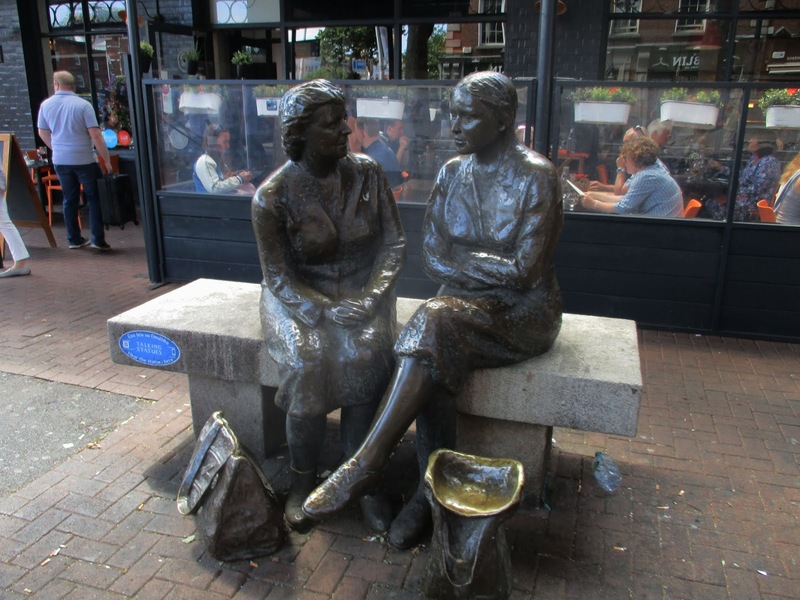 A friend just sent me this link about the statue near our apartment. Thank James!